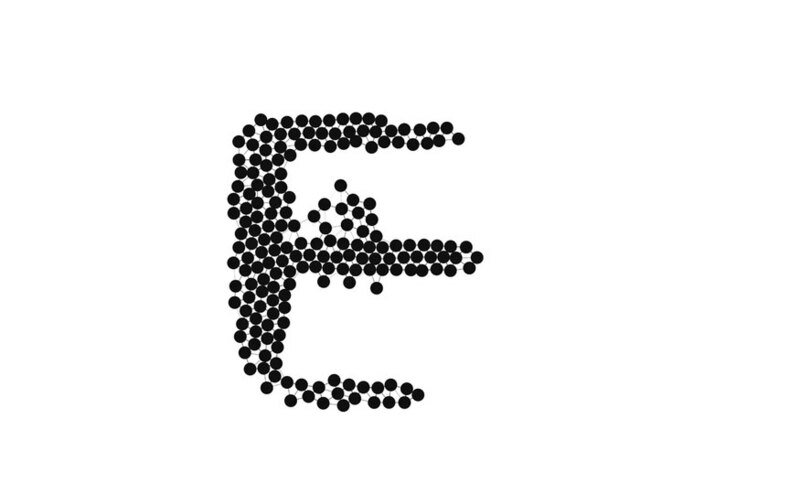 An experiment in typographic assemblage. 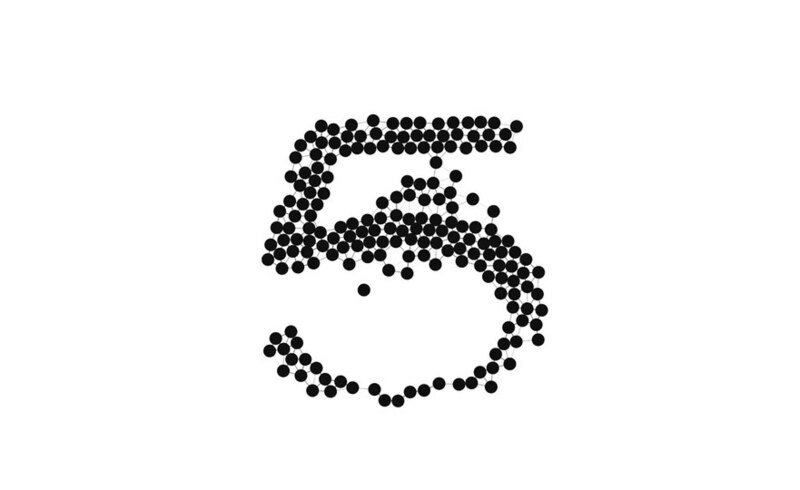 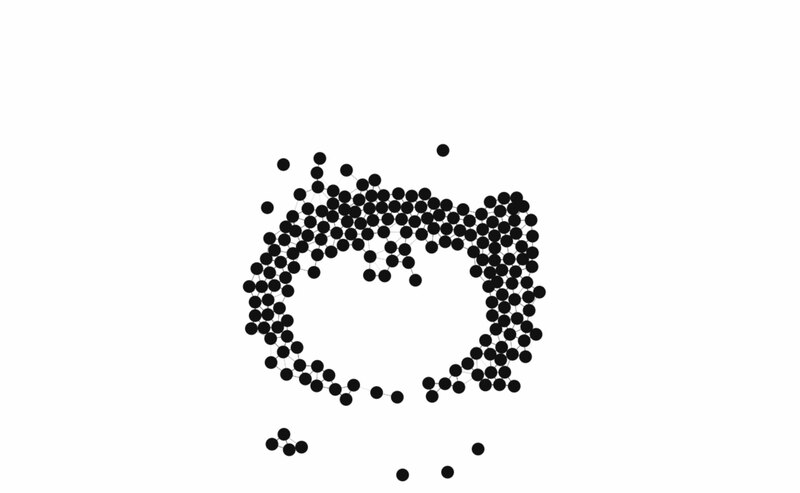 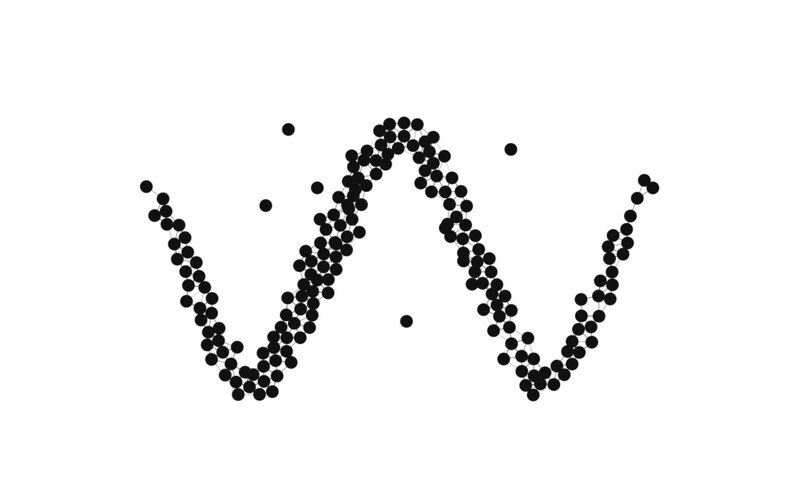 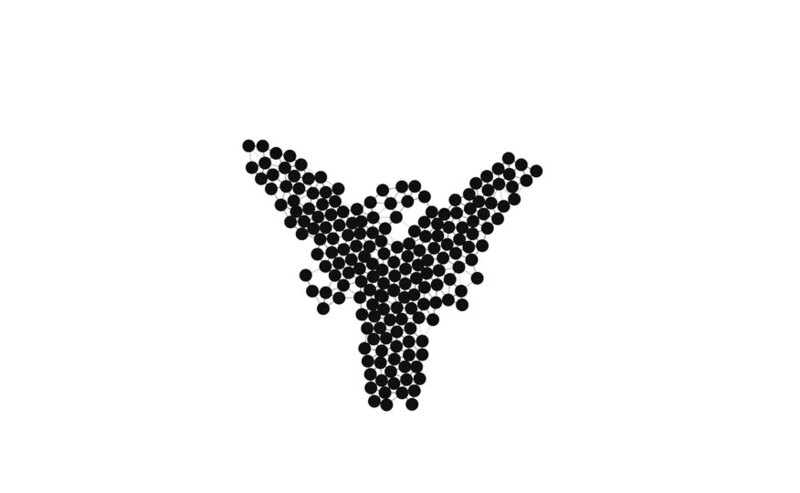 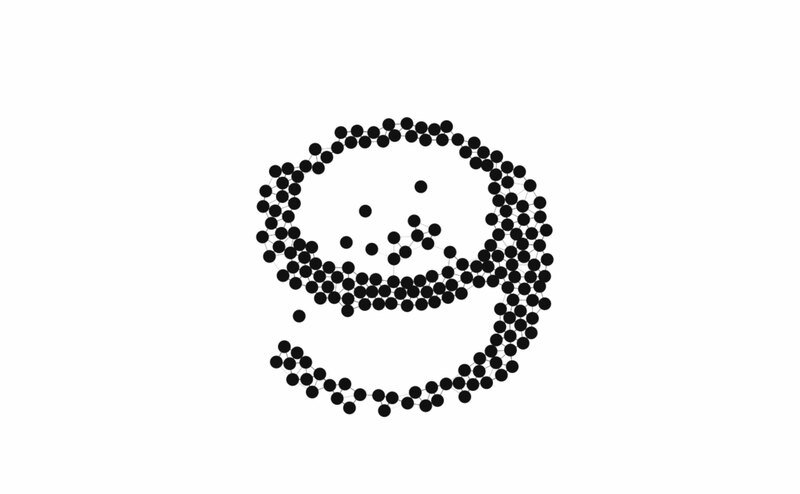 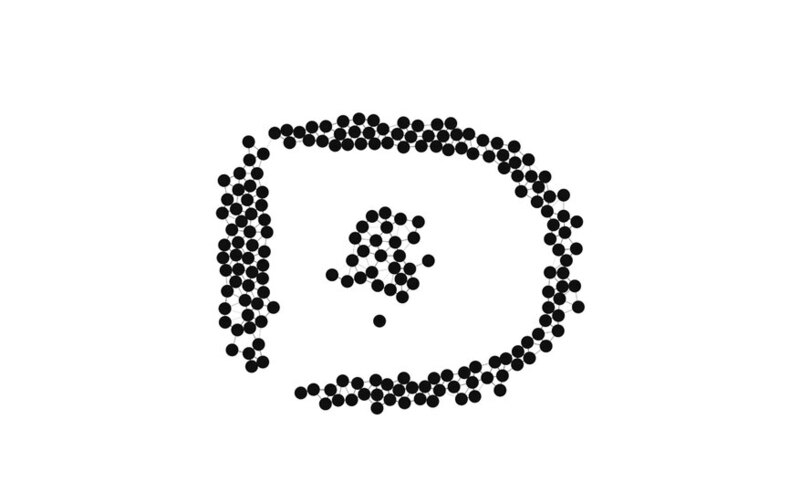 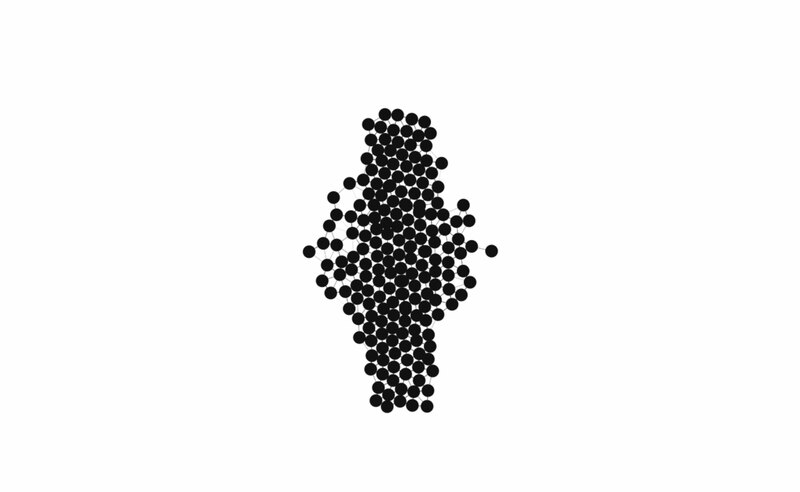 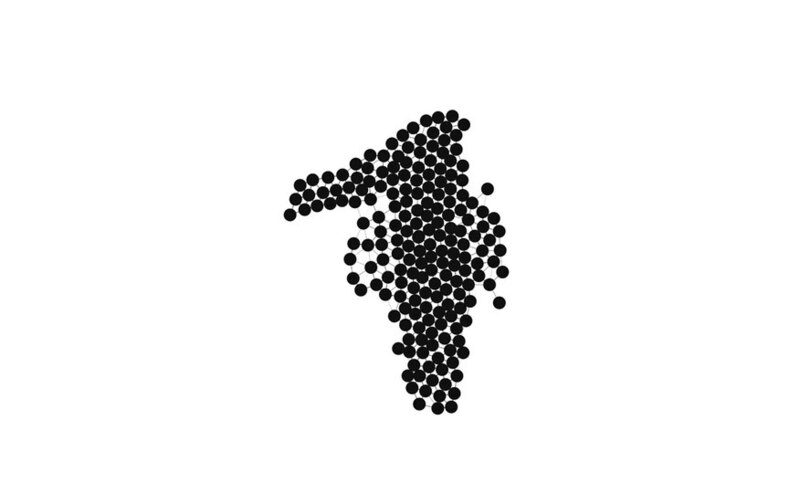 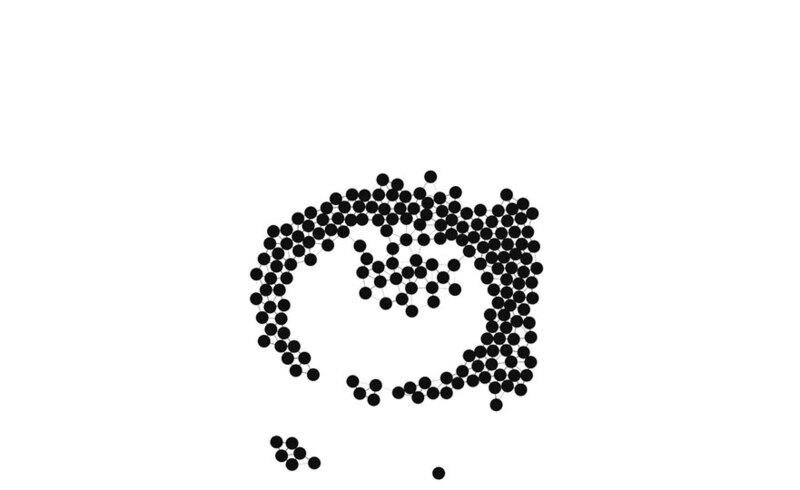 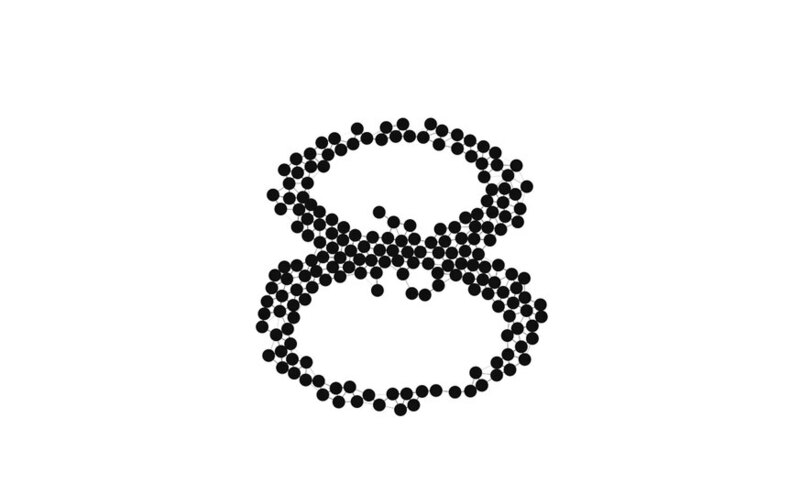 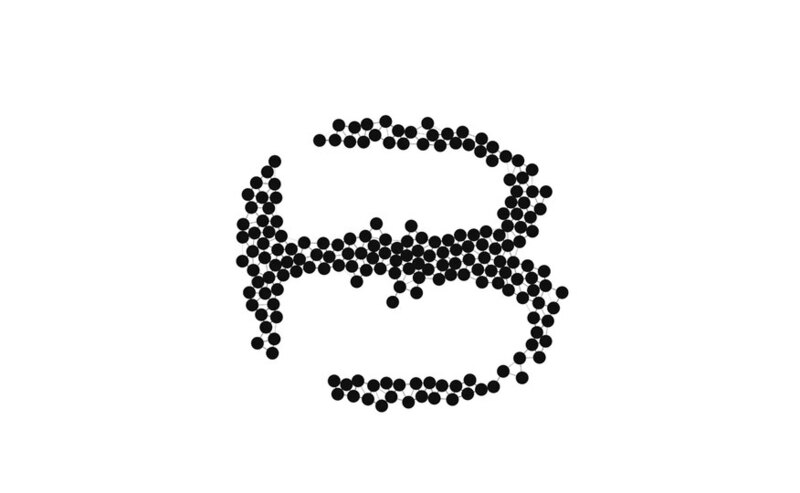 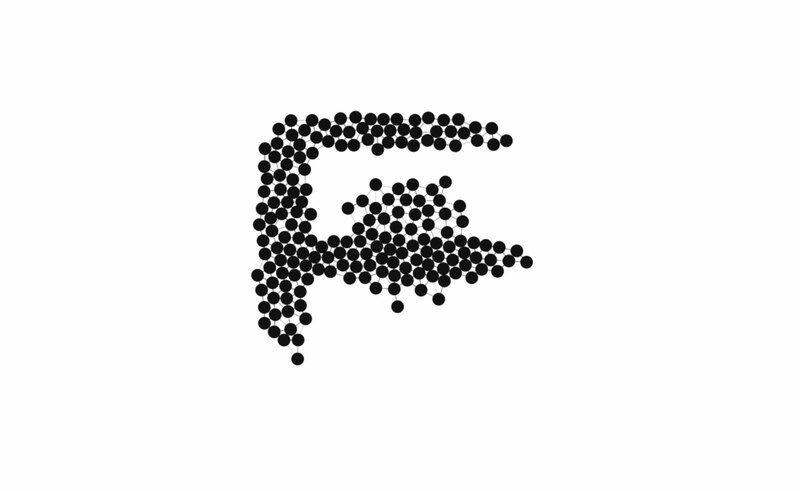 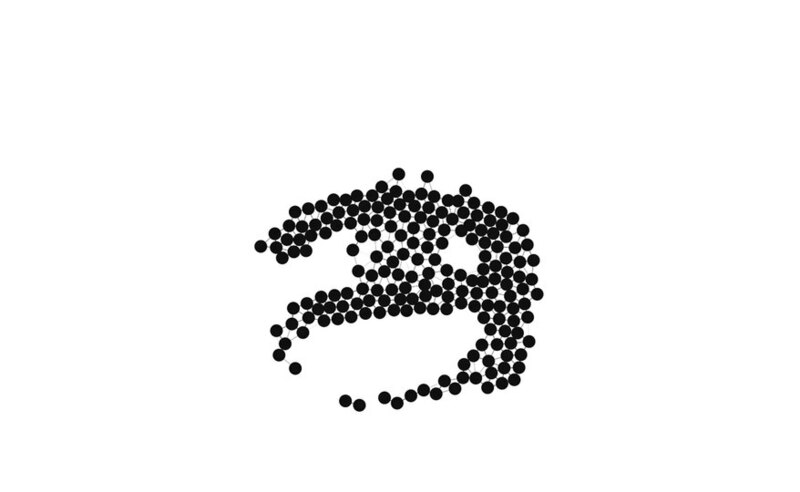 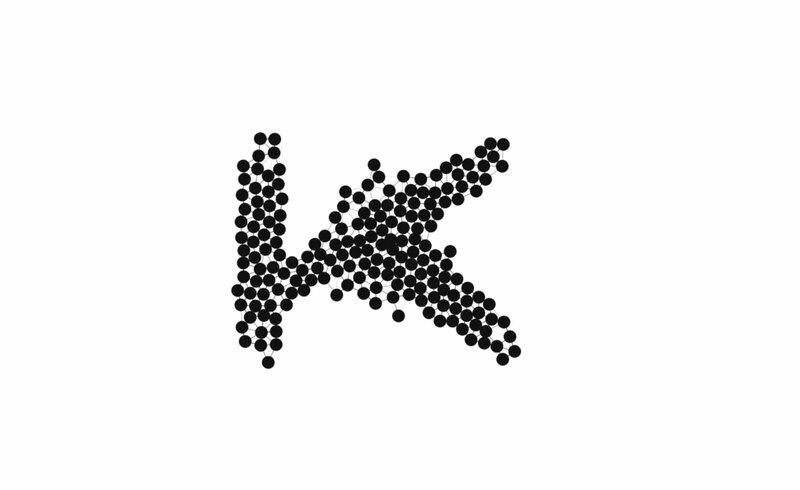 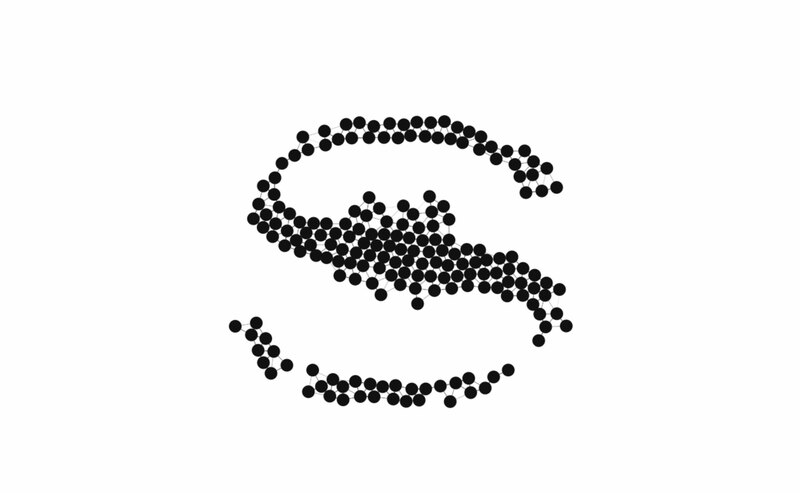 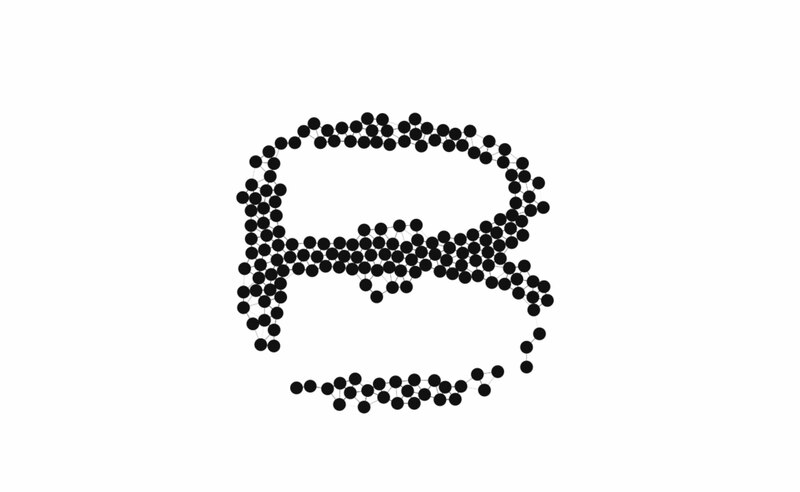 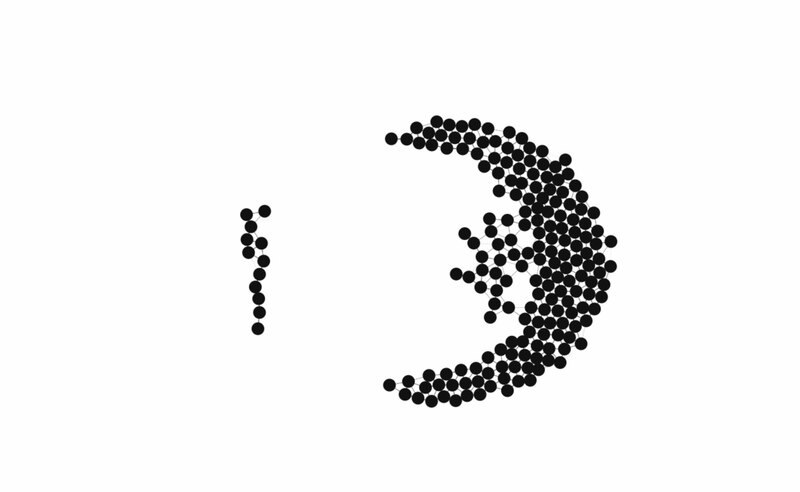 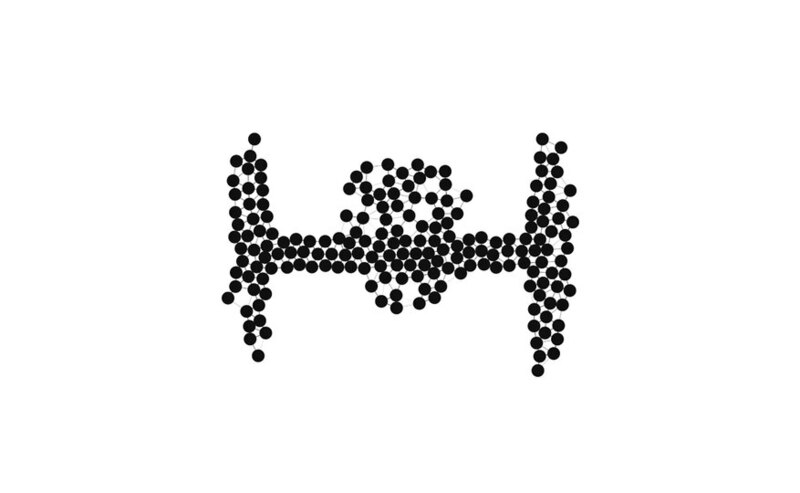 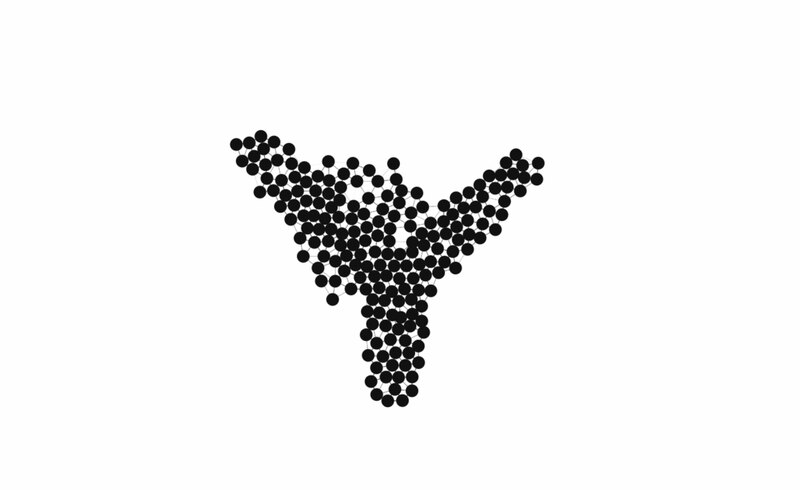 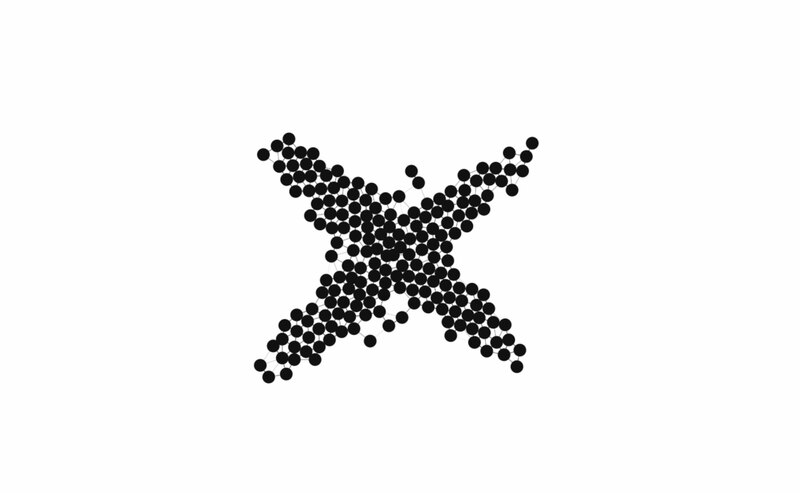 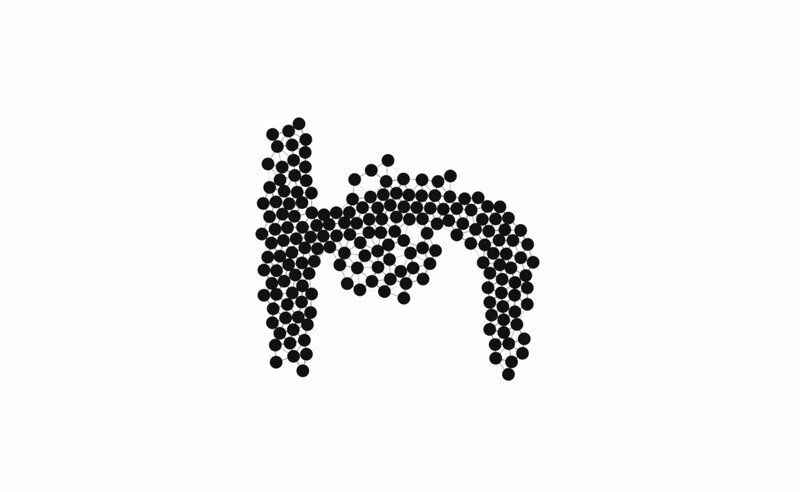 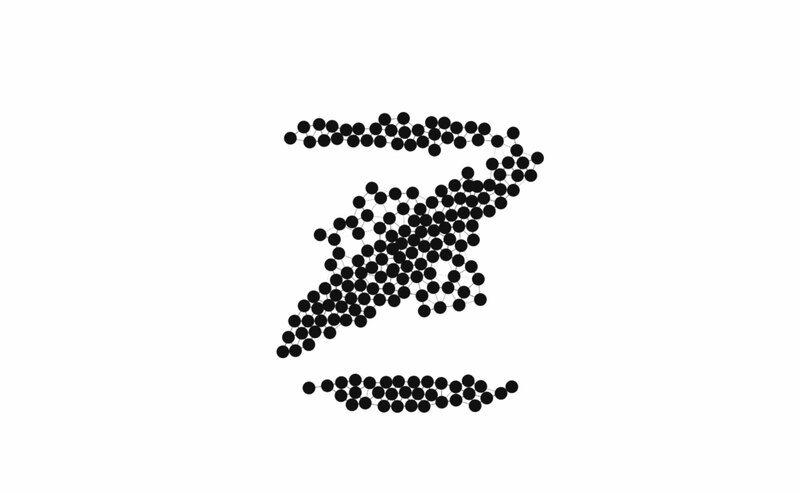 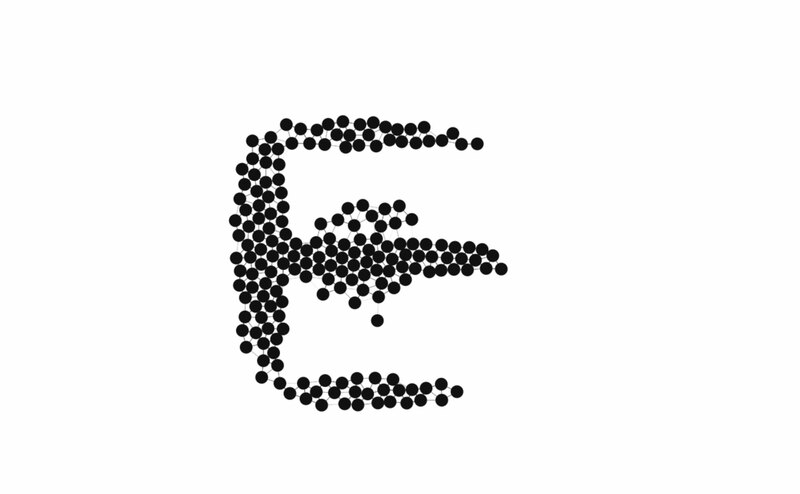 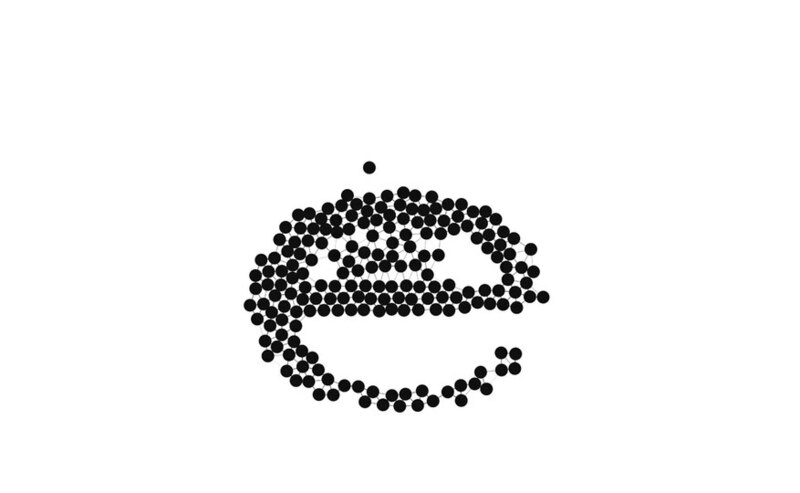 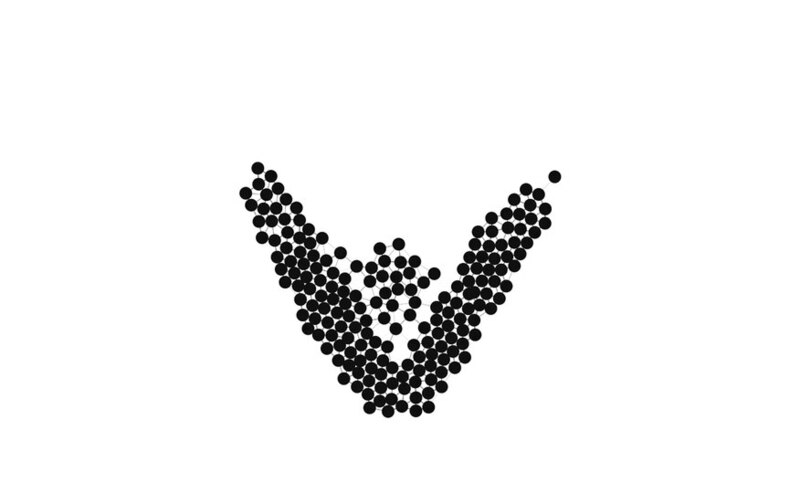 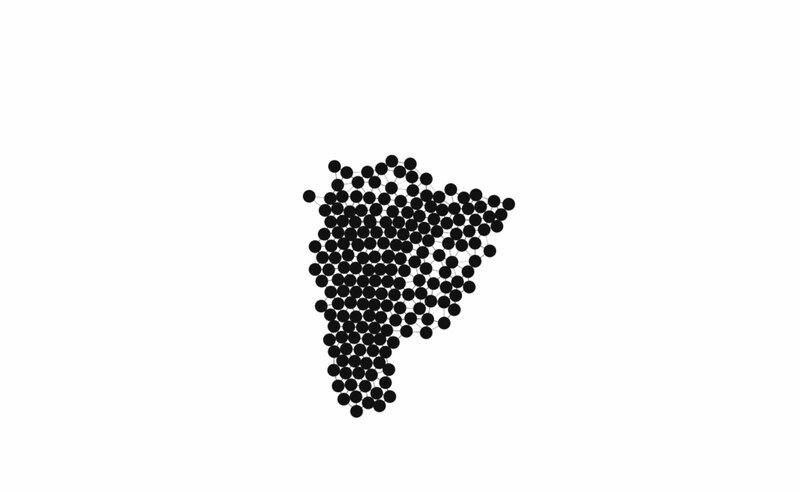 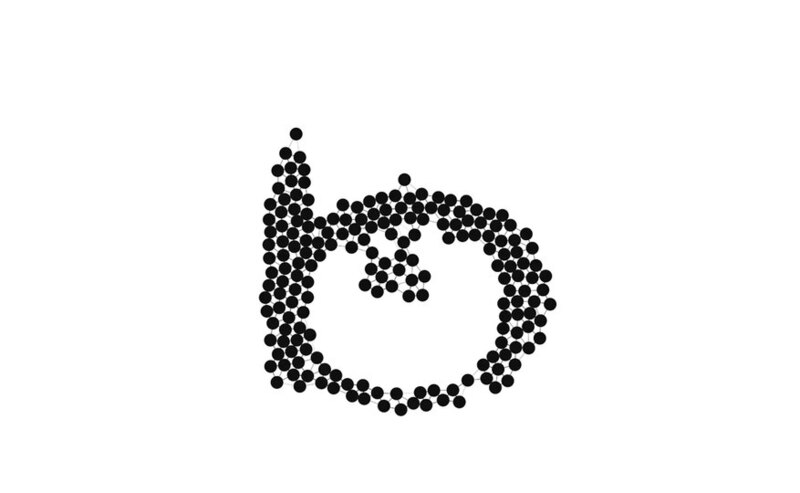 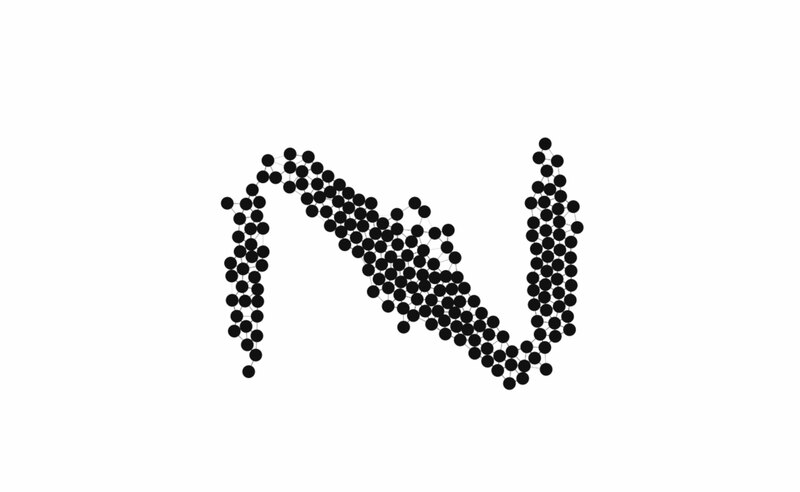 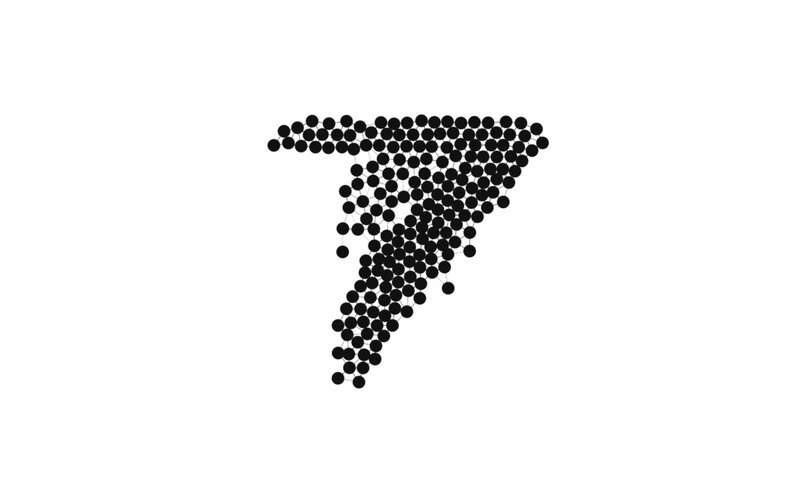 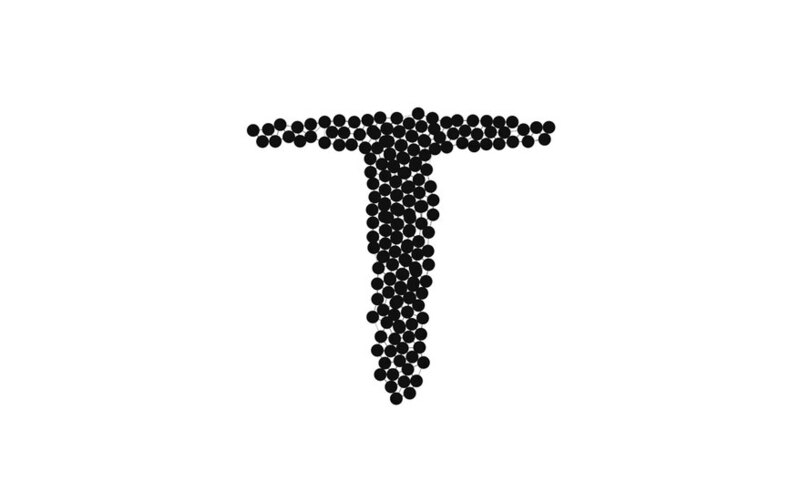 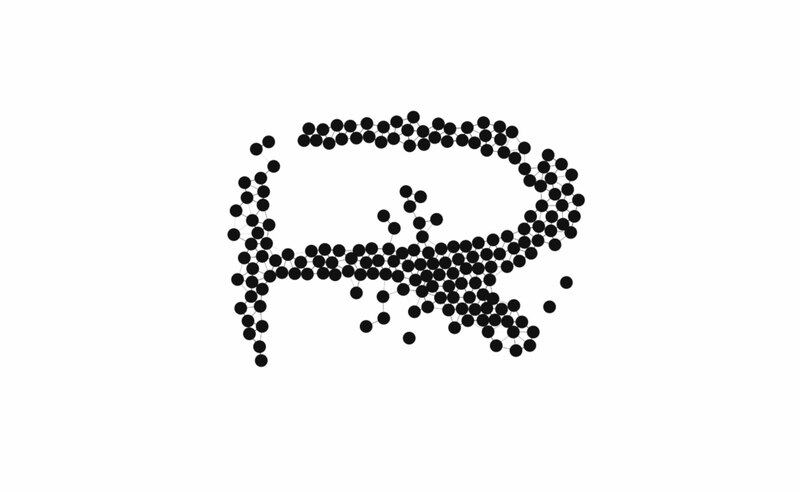 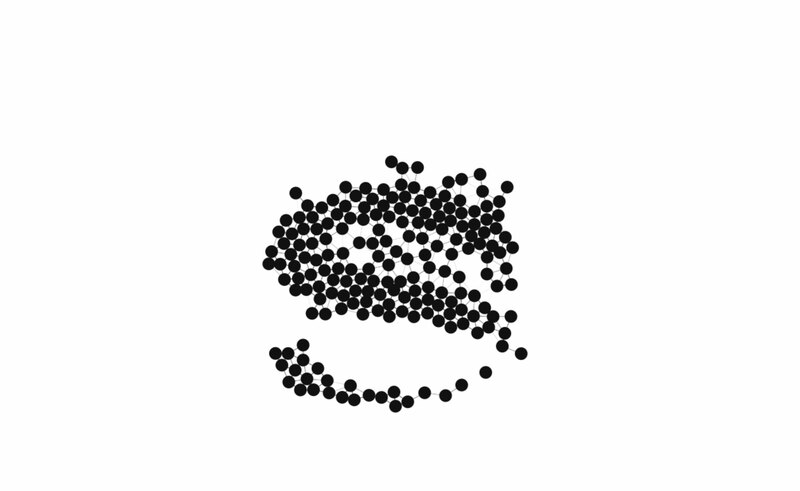 An algorithm creates individual entities (shown as black dots) which experience two competing forces: an attraction to each other and an attraction to an external form (the outlines of letters and numbers). 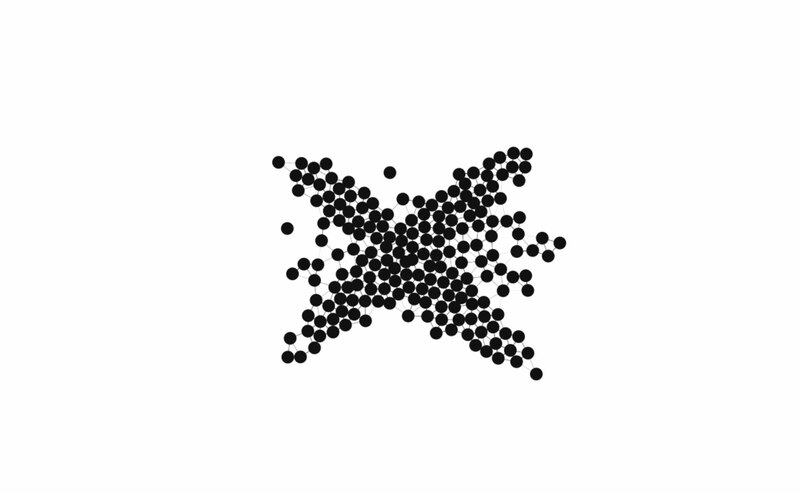 The complexity resulting from these two forces results in graphical representations which each time turn out differently. 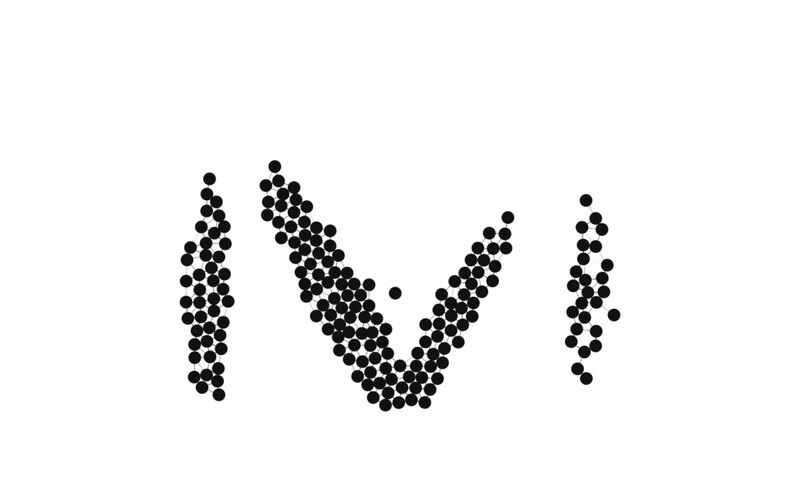 Find the live project at http://penccil.com/unformation/luv.html. 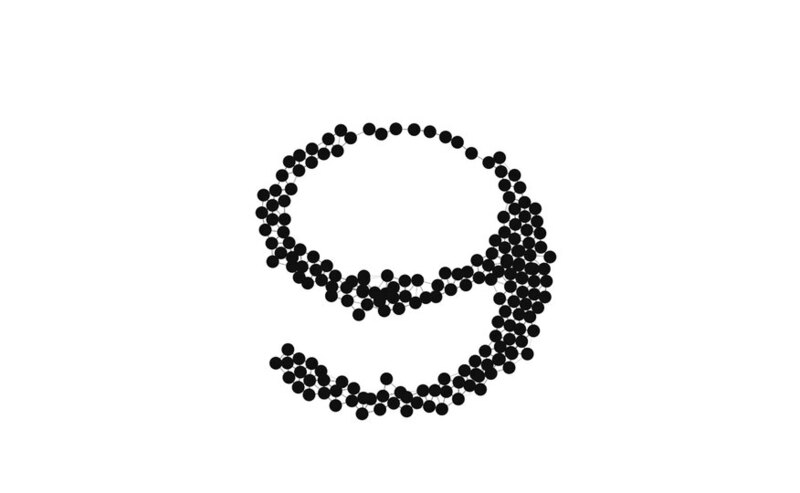 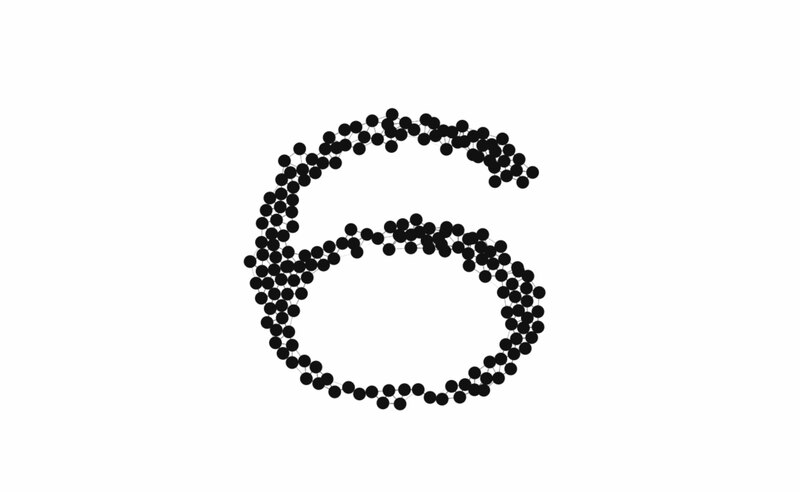 Every 10 seconds, the present order is dissolved and a new letterform is introduced.